Magnificent museums, markets and metropolitan parks are just a few sights and activities student groups won’t want to miss on their trip to San José, Costa Rica. National Museum of Costa Rica. Distinguished by its Spanish colonial buildings, San José, Costa Rica sits in the Central Valley region with the Talamanca Mountains to the south and the famous Arenal Volcano to the north. San José is a metropolitan city big enough to make it easy for tourists to travel, yet small enough to encapsulate the charm of the tico or Costa Rican way of life. San José is a perfect hub for student groups looking to indulge in the country’s incomparable natural beauty, while simultaneously pandering in its rich history and culture. Some of San José’s most popular tourist attractions include its collection of museums spread throughout the capital city. Originally created in 1887 to provide Costa Rica with a public establishment to classify and study natural and artistic material, the National Museum of Costa Rica (Museo Nacional de Costa Rica) is now situated in the 1917 Bellavista Fortress, originally used as military barracks during the Costa Rican Civil War of 1948. Focusing on scientific investigation, education, exhibition and preservation of Costa Rica’s cultural heritage, the museum provides student groups an educational experience featuring Pre-Columbian era artifacts dating back to 12,000 B.C. up to the Spanish arrival in 1500 A.D.
Student groups with proper identification will receive an entrance discount. For groups of 35 students or more, reservations can be made for any time after 10:30 a.m. and should be scheduled 15 days prior to the anticipated visitation date. Services provided by the museum are lockers, pay phones, restrooms and wheelchair accessibility. For more information on the museum’s hours, location and services, check out their official website. 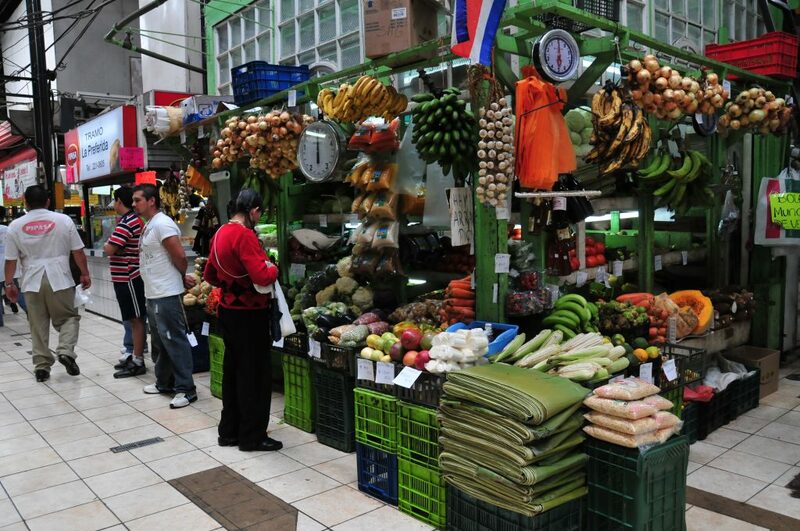 The Central Market of San José (Mercado Central) is a great way for student groups to spend the afternoon tasting some of the country’s best authentic dishes. Open Monday to Saturday from sunrise to sunset (6:30 a.m. to 6:30 p.m.), Central Market was established in 1880 and remains the largest market in all of San José. Central Market features a large variety of meats, fish, fruits, vegetables, coffee and Costa Rican products such as snakeskin boots, cowboy saddles, herbal remedies and other locally handcrafted goods. Hosting tens of thousands of daily visitors, the market boasts over 200 shops, stalls and cheap restaurants called sodas. Student groups can taste local specialties such as agua dulce, a deliciously sweet drink made from water and sugar cane or casados, a scrumptious mixture of rice, beans, salad, cheese, plantains, tortilla and meat. Occupying an entire block of Central Avenue (Avenida Central) just 250 meters northwest of San José’s popular La Sabana Metropolitan Park, Central Market is an ideal way for student groups to spend hours indulging in a cherished josefino tradition. Teatro Nacional de Costa Rica. Credit. 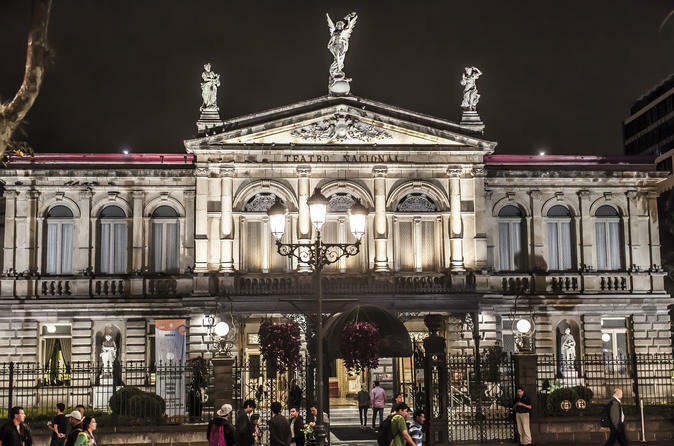 Arguably the most architecturally stunning and significant building in San José, the National Theater of Costa Rica (Teatro Nacional de Costa Rica) was originally established in 1897 with a performance of Johann Wolfgang von Goethe’s Faust. Today, the theater hosts several weekly performances, including pieces by the National Symphonic Orchestra (NSO). A historical monument, the National Theater of Costa Rica was once named one of “10 Great Ceilings around the World” by USA Today, featuring Italian artist J. Villa’s famous mural, Allegory of Coffee and Bananas, a depiction of Costa Rican rural life at the turn of the 20th century. Dedicated to strengthening and diversifying the performing arts while valuing the historical heritage of the theater, the ornate Neo-Classical building features astounding acoustics and an intimate feel that attract performers and spectators from around the world. Offering guided tour services in English and Spanish, the National Theater offers student groups daily, hourly tours from 9:00 a.m. to 5:00 p.m. For groups exceeding 30 students, an online request form for tours should be made in advance. An active andesitic composite volcano located 90 kilometers northwest of San José, Arenal Volcano offers student groups a fantastic getaway from the hustle and bustle of the capital. A tall, symmetrical volcano built upon successive layers of ash, lava and rock, Arenal is situated in the province of Alajuela and district of La Fortuna. The quaint and leisurely town of La Fortuna is tucked into the base of the volcano and features local shops, restaurants and a colorful central park with a stunning backdrop of Arenal. Student groups will love taking the 15-minute hike down to La Fortuna Waterfall, a 200-foot cascade with picturesque views ideal for picnicking, swimming and photographing. A trip to Arenal Volcano can be spent hiking through rainforests, whitewater rafting and horseback riding, or soaking in the area’s natural hot springs. Student groups can sign up for a number of guided tours, including horseback riding from Monteverde, Los Perdidos Hot Springs or the Arenal Volcano National Park tour. 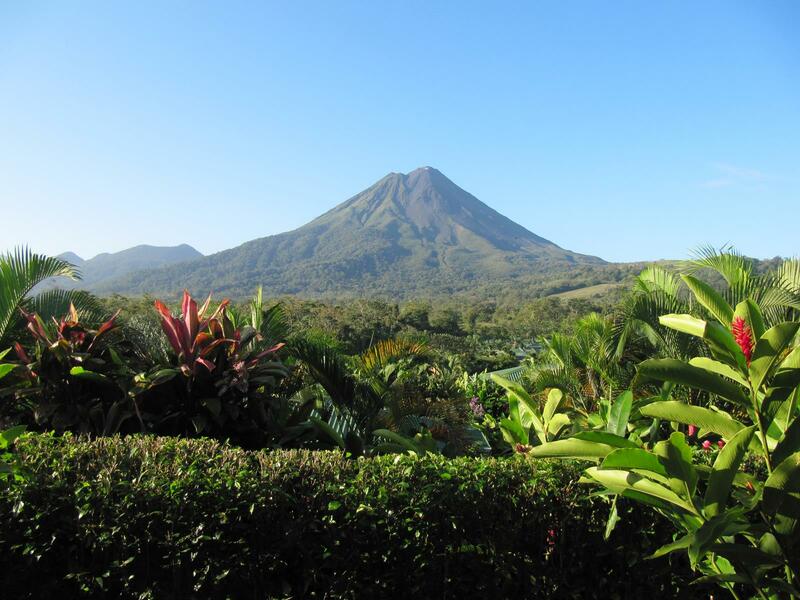 For more information on the many Arenal Volcano tours, click here. Museum of Costa Rican Art. Credit. La Sabana Metropolitan Park (Parque Metropolitano La Sabana) is San José’s largest and most important park situated in the heart of the city center. Replicating New York City’s Central Park and its notion of providing nature in an urban setting, La Sabana invites student groups to sit down, relax and engross its natural beauty. Located in the Mate Redondo District in the central quarter of San José, the park features the Museum of Costa Rican Art (Museo de Arte Costarricense) and the National Stadium of Costa Rica (Estadio Nacional de Costa Rica). After an educational day spent at the museum or wandering through Central America’s first modern sport and event arena, student groups can stroll through La Sabana Metropolitan Park and partake in a number of activities such as biking, jogging, skating or tennis. Besides the stadium and art museum, other attractions throughout the park include a target shooting range, swimming pool, skating rink, national gym, sports fields and several lakes. Student groups won’t want to miss out on this San José favorite.